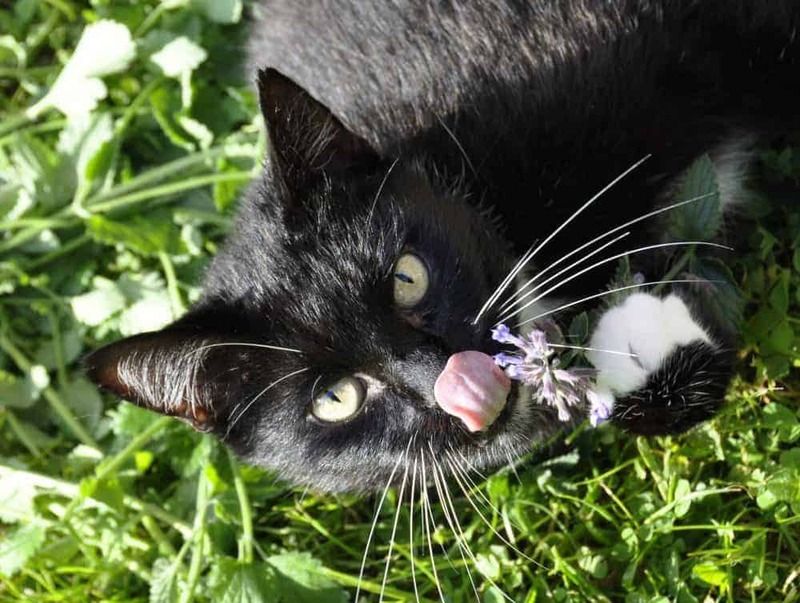 Catnip for Cats Is More Than A Treat: Training, Stress Buster & More! It’s NATIONAL CAT DAY! So how are you celebrating? It’s always fun to find ways to make your cat happy. Here at our house, Karma-Kat insists on treats, and that also means catnip. Catnip turns kitties into tipsy clowns. I have no doubt that catnip prompted the Cheshire Cat’s grin. My cat Seren (in video at the bottom) used to wear the same expression when she indulges. NATIONAL CAT DAY is the perfect time to indulge your furry friend. But why do cats find this nondescript herb so attractive? Is it a kitty aphrodisiac, a harmless pleasure or something more sinister? CLICK HERE! TO GET AMY’S 6 MEOW-SILENCING TIPS! Nepeta cataria, or catnip, is a strong-scented mint that contains a volatile oil that’s easily released into the air. Biting or rolling on the plant crushes the leaves and releases the oil so Kitty can get a good sniff. It doesn’t take much. Cats can detect catnip oil in the air at a saturation as low as one part per billion. covering Cancer, Carbon Monoxide Poisoning, Cardiomyopathy, Cardiopulmonary Resuscitation (CPR), Carnivore, Car Sickness, Cataract, Catnip, Cat Scratch Disease, Cesarean, Cherry Eye, Chiropractic, Chocolate Toxicity, Claws, Climbing, Coccidiosis, Cognitive Dysfunction Syndrome, Colitis, Communication, Constipation, Cryptorchid, Cuterebra, Cyst, Cystitis, Cytauxzoon, and Cytology. I’ve broken the massive book into discounted catnip-size alpha-chapter sections. Folks can choose which ones they most need. Each chapter will release every other week. Of course, you can still get the entire CAT FACTS book either in Kindle or 540+ pages of print. And — until October 31 — you can CLICK TO ENTER HERE for a chance to win a paw-tographed copy of CAT FACTS! Rather than a simple smell, the chemical in catnip resembles sedative components also found in the valerian plant, which may be used in natural therapies to calm pets and people. Catnip also may be similar to one of the substances found in tomcat urine—yucky to you, but a lovely smell to the cat! In fact, this pheromone in urine often triggers the same sort of behavioral reaction in cats as exposure to catnip. These types of chemicals, once inhaled, enter the cat’s highly specialized scenting organ through the roof of the mouth. The vomeronasal or Jacobson’s organs sit between the hard palate of the mouth and the septum of the nose and connect to the mouth via tiny conduits directly behind the cat’s upper incisor teeth. You may see kitty perform an odd facial grimace (flehmen) with lips curled back and mouth open when employing this organ. Catnip is a kitty hallucinogen. The Jacobson’s organs are linked to the hypothalamus, an area of the brain that acts like a switchboard to direct information to higher centers. This part of the brain integrates taste and smell, motivates appetite, and triggers a variety of behaviors. Catnip in cats affects the same biochemical pathways that are affected by marijuana and LSD in people. In its simplest terms, catnip is a feline hallucinogen. The kitty “high” lasts from five to 15 minutes and causes a loss of inhibition. 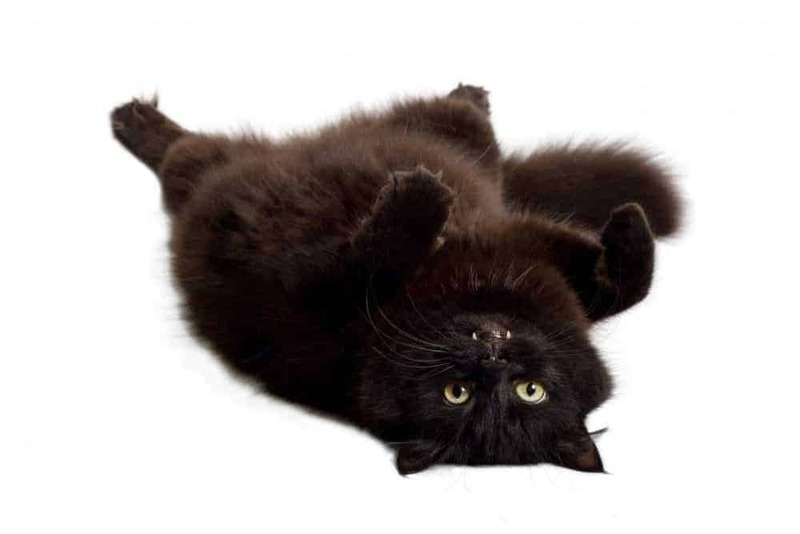 Catnip-intoxicated cats act like furry fools who roll and flop about on the floor, drool, act out hunting behaviors and have a wonderful relaxing time. Cats rarely respond to catnip until they are about six months old, and some cats never do. 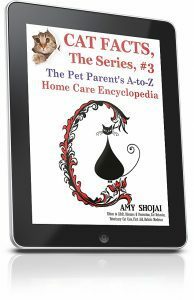 The trait is an inherited one, with only two out of three domestic cats being affected. Boy cats seem to respond more strongly than females. Since catnip belongs in the mint family, cats often react in a similar way to other types of mint. I’ve even seen some cats react to a type of honeysuckle—or even olives. Most scientists agree that catnip provides a harmless recreation for cats. For cats who respond, catnip can be a wonderful training tool. Catnip builds the confidence of some shy cats, and it can be used to “spike” the legal scratch objects to help lure kitty to do the right thing. Catnip can help take the cat’s mind off of the scary car ride—or at least induce a catnip snooze so she doesn’t care anymore. 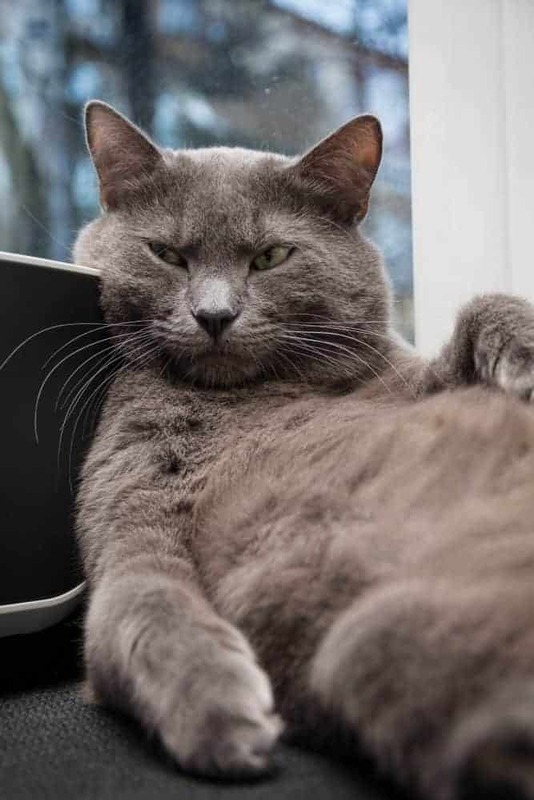 You’ll find catnip toys, herbs, even growing kits advertised in all the finest cat magazines, “special” brands touted in pet stores, and feline fanciers comparing quality like true gourmands. The fresher the herb, the more likely your cat is to react. And no, catnip doesn’t affect people the same way, although it has in the past been used as a soothing tea for upset tummies. Remember, until October 31 you can CLICK TO ENTER HERE for a chance to win a paw-tographed copy of CAT FACTS! Be aware, though, overindulgence may “wear out” your cat’s response to the plant. An occasional treat, perhaps once every two or three weeks, is plenty. Does your cat react to catnip? Do you use a bit of ‘nip to help your cat relax, or as a reward or as….what? Is there anything else your cats react to in a similar fashion? Here’s how Seren used to react, LOL! I like to think that beyond the Rainbow Bridge, kitty heaven is full of lots of ‘nip and treats. Actually, catnip can be used as a sedative in humans. 🙂 I used to drink catnip tea to get to sleep when my panic attacks were really bad in college and I had no meds to get me through it. I know about catnip tea but I’ve not read that there’s sedative properties to it like valerian. Hmnnn. Just can’t have it while pregnant as it can also cause a miscarriage. It can also be used topically as a mosquito repellent. Wow Seren enjoyed her catnip. That was so much fun watching a 16 year old rolling and rubbing her catnip. She’s so beautiful. I know, I really get a kick out of that! My cat never seemed too interested in catnip, but my dog seemed to love rolling in it. My sister has a kitten now, and I’m excited to try and grow him some catnip. That’s interesting — a dog loving catnip. Ha!